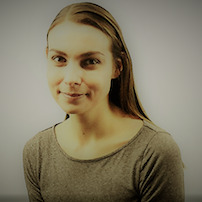 Teaching Experience : Zaneta has been tutoring law for more than 4 years, focusing on Land Law, Equity and Trusts, Criminal Law, EU Law, Pubic Law, Commercial/ Company Law and a variety of International Law subjects (including Human Rights Law, Environmental Law and Investment Law). Zaneta also has vast experience in helping her students develop relevant soft skills, such as problem-solving, essay-writing, dissertation- structuring and advocacy (as part of university mocks as well as international moot competitions). She is currently studying for LPC, before she begins training with a prominent London City law firm. Zaneta's experience ranges from tutoring small groups of students at summer schools in Cambridge to personalised one-to-one online and face-to-face sessions, as well as dissertation support. Her students report consistent improvements in both their skills and final results, invariably achieving first or high 2:1 in their courses. Zaneta is always happy to adopt tuition approaches that best address individual needs of her students and makes sure students achieve the goals they have set up for themselves. Finally, Zaneta is also keen to guide students through the training contract application process and help them find the law firm that best suits their profiles.